Who are you buying for? Quite simply the best in the world. 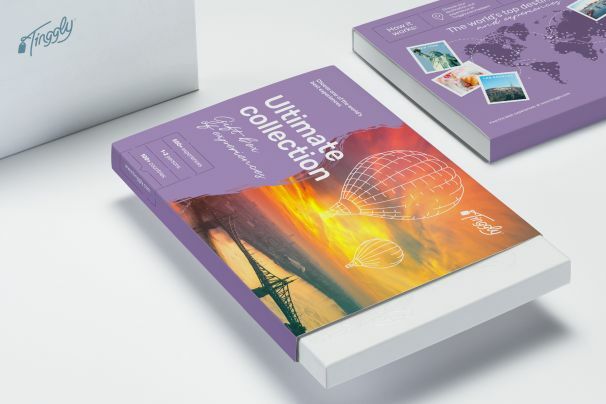 Tinggly's Ultimate Collection gift box offer it all, helicopter flights, wine tasting, beautiful tours and mind-blowing moments for one or two people. Video credit goes to our wonderful Tinggly Ambassadors Kach and Jonathan from Two Monkeys Travel Group. Watch it and make sure this experience is right for you! The Silfra fissure is the crack between the North American and Eurasian continents, gradually widening at a rate of approximately 2cm every year. You’ll swim through cold water that has passed through porous underground lava for a period of between 30 and 100 years - it is completely pristine, meaning that as well as giving you unsurpassed visibility underwater, you can also take a drink at any time! Move through an astounding colourscape, described as liquid meditation. You’ll be perfectly comfortable in a warm wetsuit, led by your guide through the gap between the plates. This amazing tour takes place in the surrounds of Thingvellir National Park, a UNESCO World Heritage Site of unbelievable beauty, and important cultural and geological significance. An unforgettable experience through pure glacial waters, like nothing else in the world.